Remember back in late May when I had the outstanding opportunity to visit Kauai, Hawaii for a press trip? We not only did many incredible activities and ate some of the best food I’ve ever had, but we also stayed at some beautiful places. 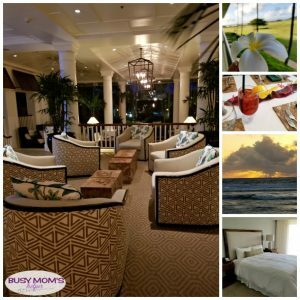 While every place has it’s own perks and things that are better about them, I have to say that My Favorite Kauai, Hawaii Hotel is Kōloa Landing at Poʻipū! Want to know why? Well…. While Kōloa Landing also has Deluxe Studios (measuring at about 500 square feet, nearly twice the size of a standard hotel room), as well as a large family’s dream come true Penthouse Suite (4 bedrooms and 3 private balconies? Heaven! ), I think their main shining point are their incredible Luxury Villas. These can range from 1 to 3 bedrooms, so you can find the right fit for however many are in your travel party. Two twin bedroom with private bathroom & private balcony…. Queen (or is it a king – I’m awful at telling!) bedroom with access to large shared balcony. Another bathroom in the hall. Master bedroom with tons of space and closets, dressing area, huge bathroom and access to the shared balcony. I stayed in a 3-bedroom on the 3rd floor – meaning my own private entryway (and doorbell, how fun! ), a perfect view of the family pool from my huge balcony, and plenty of space to stretch out. My family would LOVE to relax at this suite, as I’m sure any family would! Here’s a bit of a tour of my suite…. Oh, and there’s even a rather large laundry room with washer and dryer, cabinets, soaps and iron/ironing board. Yes, they make your trip as easy as possible for you! You heard that, a complete kitchen fully stocked with everything you need to whip up gourmet feasts or just a tasty snack to enjoy on the balcony! I loved that it wasn’t just a tiny fridge, but regular-sized with plenty of space to stock up. And who wants to wash dishes on a vacation? Well, not that we ever do, but especially not when you should be relaxing – so there’s a dishwasher to help out! The dining table had plenty of room for the whole crew, and the living area was very comfortable. You can open the curtains to let the sun shine in, or close them for a bit more quiet feel. Since this was a part-working trip, I did have to take care of things on my laptop. But guys, I could work happily for HOURS sitting out on the balcony with my laptop and planner, just enjoying the sounds, smells and view from there while working away. Seriously, I think that’s my dream office – right there on the balcony at the Kōloa Landing at Poʻipū. They provide plenty of chairs, table, even comfy loungers to lay out on! Just because I put this at number 4 does not mean it’s any less amazing or important because…..dun da dun….they have THREE fabulous, beautiful pools for you to enjoy! The one outside my room was the ‘family pool’ or ‘Lagoon pool’. It was 6,100 square feet, with an in-pool island, basketball hoop, lagoon-like spots, tidal pool and Jacuzzi. There were plenty of families enjoying this one, but it never looked even a bit crowded or too noisy. My kids would’ve loved it! There’s also the ‘Tranquility Pool’, which is smaller and more quiet – but has a nice waterfall feature. It’s perfect if you want to just quietly float, lay out and relax with a good book, or have a sweet moment together with your special someone. The main pool is really the eye-catcher, though, at a whopping 350,000 gallons of beautiful, blue water – making it one of the largest single pools on Kauai! At the top is the infinity pool, which leads down into more pools and on down – it’s like a cascade of wet, fabulous fun. It has a waterslide (or two, though I can’t recall exactly), side Jacuzzis, swim-through water falls, even a little cave grotto area you can swim into or lounge in chairs on the side of. Near the bottom of this massive area is a fun little splash-pad type area, with water spouting up – I know my boys would spend a long while playing here! This pool alone is reason enough to make this your Kauai, Hawaii hotel choice! They also have cabana’s you can rent, giving you a special area to store your stuff, lay out or just relax. They come ready with flat-screen TVs, chaise lounge chairs and overhead fans to cool off in the Hawaiian heat. Not only do they hold S’more evenings, where you can roast these delicious treats around a fire pit, but they also have HoloHolo Grill – a restaurant right by the main pool serving up a variety of delicious foods and fresh drinks. A couple of us enjoyed breakfast here our last morning and it was UNFORGETTABLE! In fact, I’ve tried remaking the avocado toast here at home because it was just so dang tasty. Their fruit smoothies were incredible fresh, smooth and full of flavor, and their other dishes were just as delightful. From the moment you arrive into the open welcoming-area you’re greeted by friendly staff who are truly there to make your stay as pleasant and enjoyable as possible. You can tell they love their beautiful island of Kauai, and are proud to tell you all about it and their own favorite spots around. Since it’s such a large resort, I did get lost a few times as I explored, but any staff member I stopped to ask for directions or about the pools or whatnot was happy to help. And Sally Halm, the manager at Kōloa Landing at Poʻipū, was the sweetest and friendliest lady you’ll ever meet who is an absolute blast to chat with! I did take time to relax from the amazing-yet-adventurous-and-busy week with a fabulous massage at The Spa at Koloa Landing. They had large bathrooms and changing areas, free lockers available, as well as refreshing showers. They even had supplies you may not think of for after a spa service, like q-tips, shampoo, even razors available for you! The waiting room was quiet, with peaceful music in the background and a little waterfall feature creating the perfect atmosphere to start relaxing. The treatment was very professional and relaxing, and I left feeling renewed for the last little bit of our trip. Even though they were booked, the sweet desk gal called to see if one of their off-duty therapists would like to come in for an extra treatment and, sure enough, someone was happy to fit me in. It truly was delightful to get to know Sally, the staff and all that Kōloa Landing at Poʻipū has to offer during our short visit to this Kauai, Hawaii hotel – but it was unforgettable, and I’m eager to get back with the whole family! I can’t wait to visit Kaua’i, Hawaii again, and will definitely be making a visit to Aqua Kaua’i Beach Resort again! As I mentioned a bit ago, I *finally* was able to visit the beautiful state of Hawaii for a press trip in May. 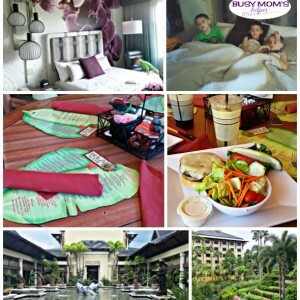 From adventurous activities, to delicious dinners and everything in between, it was completely unforgettable. 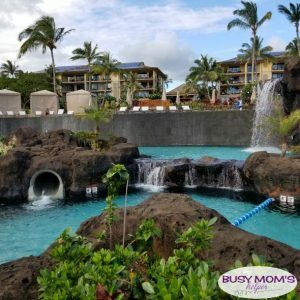 One of the things that can make or break a vacation, though, is where you stay – and our first location at the Aqua Kaua’i Beach Resort was absolutely amazing! From the bright, spacious rooms to the lovely beach area and pools with waterfall, this hotel has everything you need to make your Kaua’i, Hawaii trip even better. Just like you’d expect from a beautiful Hawaiian island, this resort has greenery and beautiful flowers everywhere. Whether it’s the waterfall by the pool, or walking right to the beach with the blue ocean waves lapping at your feet, you’re definitely in paradise. The have a fireplace with plenty of lounge spaces, a roomy lobby for meet-and-greets, and there’s lovely chandeliers and decor all throughout. We got to enjoy several dishes during a welcome reception AND flower-accented lunch thanks to the talented chef’s at Aqua Kaua’i Beach Resort. Everything was fresh, and while the foods were familiar enough, they also took a pleasant twist to common favorites. Near the pools is a Shaved Ice shack, which we loved enjoying any time of day. The breakfast at Shutters – one of 4 dining options – was fabulous. I had the buffet each morning, which offered a wide variety of delicious and fresh foods. They had everything from bacon and eggs, sausage, lots of fresh produce, cottage cheese, oatmeal and cereal, waffles, a super-tasty coconut syrup, and even an omelet station. Fresh juices like orange, guava and passion fruit were available, which was a great way to kick-start the day! We learned that chef’s will often decorate certain foods or desserts with edible plants – like this green tea pudding-type dessert topped with fresh flowers. It was definitely delightful, and I even took a few back to my room, put in my fridge, and enjoyed later that night. The rooms were VERY spacious – and as far as I could tell they all had their own balcony. I loved having a view to the ocean – I could relax in my room (or on the balcony with the provided chairs) with the screen closed if I wanted, and just listen to the waves down the way. I think every vacation should include a nap time, and what better way than with a slight breeze and gentle ocean sounds in the background? The Aqua Kaua’i Beach Resort has 4 pools to enjoy. There’s a waterfall you can go under, and a great water slide for extra fun. It really made you feel like you were in paradise with the flowers and ‘rock’ around the waterfall. Loved it! One morning a week they hold a ‘sunrise ceremony’ with a traditional chant welcoming the sun. It was really early, but definitely worth hearing the song and seeing the sun rise in the distance. One of my many favorite things on Kaua’i are the sunrises and sunsets – completely breathtaking! They also have classes on various activities, like lei-making, so you can find something for anyone in your group. There’s a daily Koi Fish feeding, where you can feed the many small and LARGE Koi Fish in their ponds. It’s so fun watching them swim all over each other trying to get a nibble! 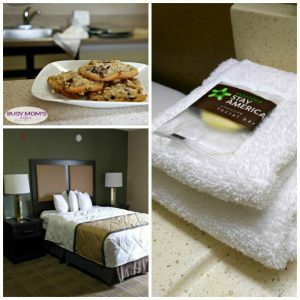 When I had any issue at all, I could ask the front desk and it was taken care of very quickly, and with a wonderful, friendly attitude. They want to make your stay as fantastic as they can, and you can tell they all truly love their island and this resort, so they’re thrilled to show your family or group the best time possible. We received a discounted room rate as part of our conference event. All opinions are 100% our own. May contain affiliate links that help support this blog. See our disclosure for more info. As hubby and I are planning a special anniversary trip for just the two of us to Orlando later this year (yay – so excited to go back to the magic! 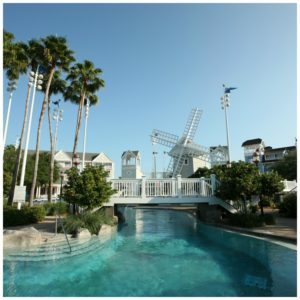 ), it’s difficult to choose which Disney resort to stay at. If you’re also in the process of deciding, maybe hearing my thoughts on the beautiful & upscale Walt Disney World Contemporary Resort can help! It was such a difference when we changed from the All-Star Movies Resort where we stayed the first chunk of our trip last fall to the Contemporary Resort. 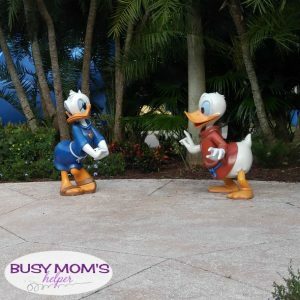 While I stick with my review (link above) that the All-Star resorts are excellent for families and those on a tight budget, the Contemporary was a whole other caliber. Yes, I saw plenty of families with little kids here – but overall it was less noisy. I loved how clean and classy it all felt – very modern. The room was huge, with 2 queen beds, plus I think the sofa could pull out into a bed. There was a nice desk, plus a large TV for when you just want to relax. The beds, bedding & pillows were all comfy and a little bit higher quality than regular hotels. There was room for hanging things in the closet, plus a fridge hidden underneath the little coffee/tea service area between the 2 closets. We had more than enough room for us three adults to move around and place our stuff around. And with 3 women, yes we had a LOT of luggage 😉 We were in the Tower overlooking the water and let me tell you, it was GORGEOUS! At night you could even watch the fun light show on the water – but don’t panic when the music to it is pretty loud to your room. The bathroom also had plenty of space for getting ready – with 2 sinks, plenty of shelves underneath, and the toilet area closed off from the sinks/shower area. And there were PLENTY of towels available, which is something I really appreciate! The toiletries – soap, shampoo, etc. were pretty basic that they also had at the All-Star Movies, but still good. There’s also no shortage of plugs or USB chargers, which us three ladies really appreciated! The lobby was a decent walk from our tower, but not awful. It was large, clean and even had a little sitting area to the side with cartoons on for kids. The cast members here were fabulous, and always eager and happy to help in any way they can. The grounds were beautiful, and didn’t feel busy, crowded or noisy at all. There was a running path around the grounds that I saw several people enjoying. I bet a morning or evening run around there makes for quite a scenic work-out! There was a big pool with slide (maybe multiple slides?) that I was able to see from afar, but was never around when it was actually open so I couldn’t get much closer. We walked through the sand where there was sand volleyball nets set up. They also had another pool (possibly a hot tub?) away from the main one that overlooked the lake. I would LOVE to take hubby there to just relax in the pool with the lovely views in the evening! Don’t forget that, as a Disney-owned resort, you can utilize their airline check-in and baggage check for certain airlines! This was super helpful for checking my mom’s baggage in the morning (they helped her weigh it and everything) so she could go enjoy the park a little bit before she actually needed to head to the airport. 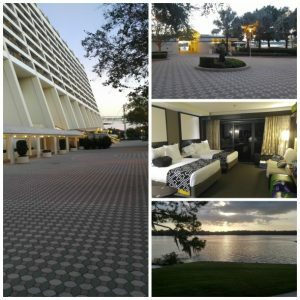 I’ll be completely honest – I would choose the Contemporary Resort in a HEARTBEAT for our anniversary trip later this year (it’s the big TEN for us, so gotta go big, right?) if the cost was a little more in our range. You definitely get what you pay for – it’s amazing, and completely worth every penny if you can swing it. For couples, families or just a random get-away, the Contemporary Resort is a beautiful and modern choice full of comfort and convenience! 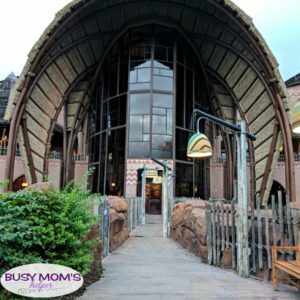 Which WDW Resort would YOU like to try most? We received a complimentary stay to facilitate this post. All opinions are 100% ours alone. Do you like to travel? We sure do, whether it’s just Hubby and I (well, that rarely happens) or our whole family, or even if we take all the relatives along! From theme parks or zoos, to family visits or scenic drives, we love getting out there and making memories together. Through all our trips, we’ve learned a few great go-to snacks and foods we like to keep on-hand, and we’re sharing 5 Must Try Recipes for Travel you can use for your next adventure! 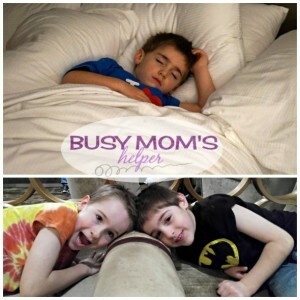 Contains affiliate links that help keep this blog running at no extra cost to you. See our Disclosure. The bedroom alone is massive, with plenty of room to move around, or pile with all your stuff. The closet is normal – but I loved the open area in front of the closet because it would be ideal to place a crib or playard if you have littles. It has it’s own bathroom, plus there’s another bathroom in the hallway for the rest of the crew. We had plenty of towels and such. The shampoo and soap was the normal hotel-type, fine but nothing fancy. I couldn’t find any conditioner, so for this one probably bring your own. Check out how much space in the hallway and couch/TV area…. This photo is taken from the entrance to the master bedroom. To the right is the main entrance door, straight ahead is the sofa bed and tv area, left is the hall bathroom, and far left is the entrance to the kitchen then the other bedroom that’s open and roomy. The hall has a dresser with extra blankets, plus a closet. The open bedroom isn’t HUGE, but plenty big for the kiddos or even your teens. The bedding was good quality, the mattresses about normal. Since this is an extended stay place, they don’t clean your room for your daily during your stay unless you specifically ask. If you want to chill and watch some television, the couch room with coffee table is plenty big. Need to get some work done? There’s a desk right there for you! Since they clean every piece of silverware and dishes after each guest, they don’t keep it stocked in your room. When you arrive, just let them know what items you’ll be needing and they’ll bring it up for you! We requested cookie sheets to make one of our favorite travel recipes, and it was there waiting for us. ….or that work meeting, or just a shopping day with the family. Speaking of tasty recipes that are ideal for travelling, here’s our top picks! 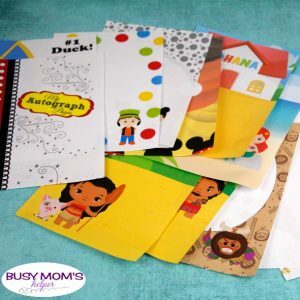 These are absolutely perfect to mix up and take with you on your next vacation, family trip or business conference. After all, we all have to eat. And next time you’re visiting the Dallas area, don’t forget to check out Extended Stay American Arlington – especially if you want to visit Six Flags Over Texas that’s just right across the freeway from the hotel!